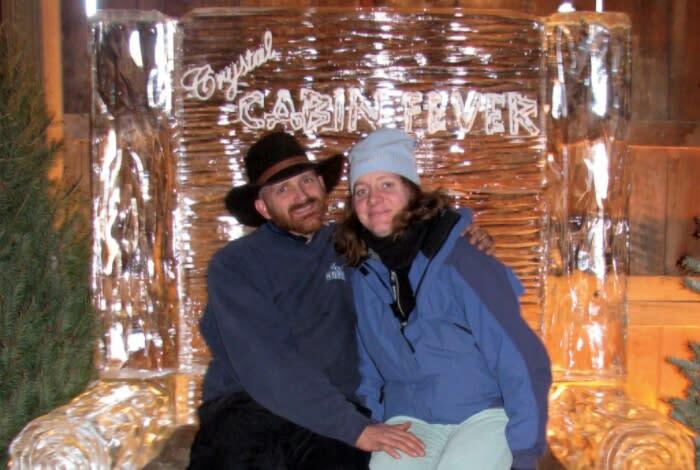 Taking “chill” to a whole new level, Crystal Cabin Fever is a month-long festival centered around amazing ice carvings. This year’s event celebrates the best of the past 10 years with expanded offerings including ice carving, wood carving and glass blowing demonstrations, complimentary hot chocolate and wine tastings, food, music and more fun for all ages. Insider Tip: Be sure to bring your camera! The ice throne is a prime “usie” spot. Say “I Do” all over again! When you renew your vows during this special Valentine’s Day event at Mount Airy Casino Resort, you’ll receive a complimentary slice of wedding cake and $10 in free play. Walk hand in hand through a winter wonderland during this festive event in Downtown Stroudsburg. See over 40 ice sculptures and live ice carving demonstrations, warm up with winter-themed food and drinks, and enjoy cool discounts from Stroudsburg’s shops and galleries. Time: Friday 5-7 p.m.; Saturday 9 a.m.-6 p.m.
Fine food, lakefront views and a lively stage show make up the menu for this annual Valentine’s event at Ehrhardt’s. This year’s production is “The Amorous Ambassador” by Michael Parker. Insider Tip: Get there by cocktail hour to watch the sunset on the lake. There’s nothing more romantic! Time: Cocktails 5:30 p.m.; Dinner 6:30 p.m.; Showtime 8:30 p.m.
For couples, families and friends, Jim Thorpe’s annual Winterfest makes a great date. Events include ice and wood-carving demonstrations, scenic train excursions, horse-drawn carriage rides and the famous Jim Thorpe Mug Walk. Insider Tip: Go for the Mug Walk! Purchase a $10 souvenir mug at the train station and carry it with you during the festival. Businesses all over town will fill it for you, free! Time: Varied; Train rides begin at 11 a.m.
Indulge in a tasting for two at Mountain View Vineyard, Winery & Distillery. This Valentine’s Day event pairs delicious Kitchen Chemistry cupcakes with MVV sparkling wines. Insider Tip: Bring home a bottle of bubbly! MVV sparkling wines are 20% off through February 14. Hit the town for a sizzling night of burlesque comedy, song and dance! The Sherman Theater pays homage to its early twentieth-century roots with this fusion dinner theater event. Time: Doors and Dinner Buffet 6:15 p.m.; Showtime 8 p.m. Treat your sweetheart to an evening of wine and design in the Northern Pocono Mountains! This Libations and Creations event will guide you through the process of painting a beautiful mountainside scene. All supplies are provided. BYOB. Insider Tip: Plan ahead! Register 7 days in advance and receive 10% off the cost of the class! Interested in a few more options? Find information on concerts, carnivals, club shows and more February fun at PoconoMountains.com/events.